A wonderful opportunity to hear soprano and tenor voices singing some of the great Italian Opera and Neapolitan Songs in the beautiful Correale Museum. A true musical experience in unique surroundings. 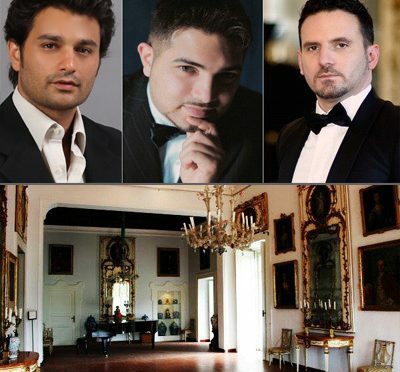 Inspired by the popular performance of L. Pavarotti, P. Domingo and J. Carreras, The Three Tenors – Opera arias, Naples and Songs is an unmissable voyage in the Italian songs history with the powerful male voices of The Three Tenors. A concert full of emotions, romanticism and funny moments.